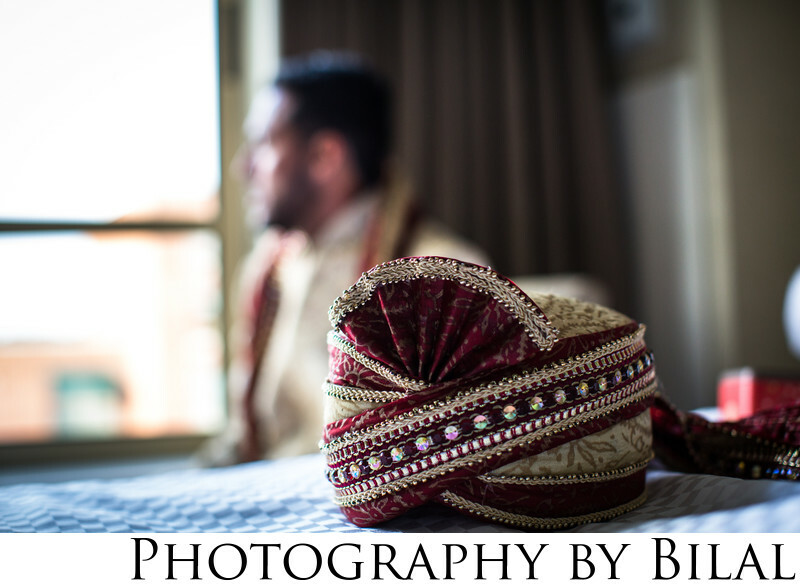 I've been told i'm one of the most creative Indian wedding photographers in NJ. I'm always flattered to hear that. I do strive to be creative in my work. Take this image, for example. I wanted to highlight the grooms hat, but also wanted the groom in the background to make for a candid moment.